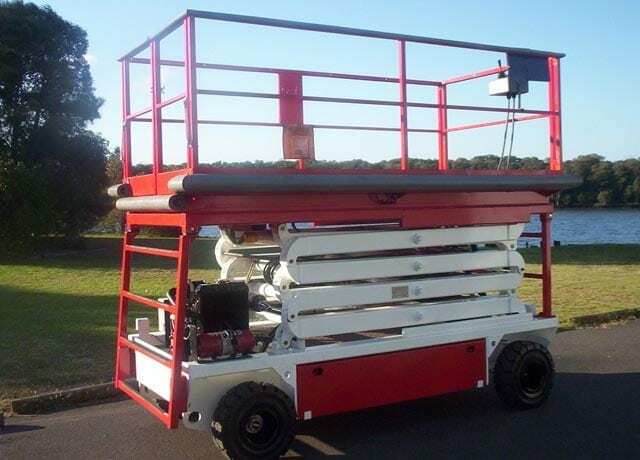 As per Australian Standard AS 2550.10:2006, a mobile elevating or elevated work platform (EWP or MEWP) is defined as a mobile device intended to move persons, tools and material to working positions, normally out of reach; as a minimum, it consists of a work platform with controls, an extending structure and a chassis. 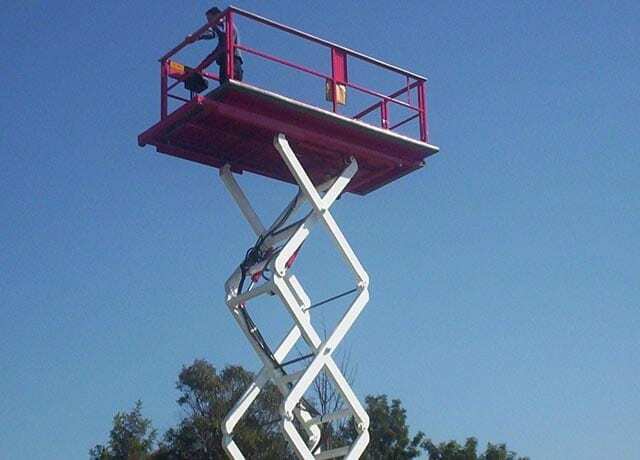 Also known as an aerial device or aerial work platform (AWP), an EWP is designed to lift limited weights, within its designated Working Load Limit (WLL), and allow temporary, flexible access to locations, usually situated at heights. 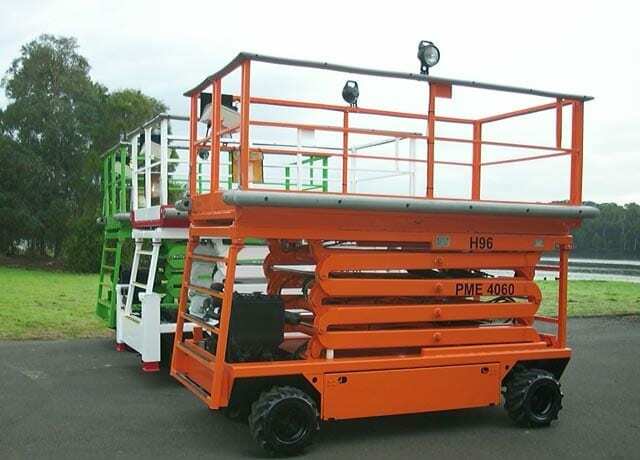 A breadth of industries employ elevated work platforms in the course of their daily operations. Instances include maintenance and utilities companies, such as electricity providers and telecommunications, who use them to service power lines. EWPs may also be profitably employed by transportation, moving and construction companies. One of the more specialised applications is represented by fire trucks; aside from an EWP, these vehicles often include a water supply pipe or water cannon to extinguish flames. Due to the inherent mobility of EWP equipment, their operation can potentially present risks to personnel, bystanders and property. Specifically, safety issues may arise from either poorly maintained or faulty equipment, misuse (such as lifting a heavier load than allowed, which may result in a tip over), or an unsuitable working environment (unstable surface, strong winds, proximity to overhead power lines). Both Australian Standards and the EWPA, Elevating Work Platform Association of Australia, set out specific rules on the subject, and mandate that appropriate safety measures, including periodic equipment testing and personnel training, should be taken. Maintenance of existing equipment is covered by AS 2550 Part 1 and Part 10, which requires to service and repair EWP fleets according to the manufacturer’s manual, with a suggested frequency of three-monthly routine inspections, annual periodic inspections, enhanced periodic inspections yearly after the first 5 years of service and major inspections after 10 years of service as well as every 5 years after. Critical, more delicate components, such as electrics, may need recurrent checks and replacement. What sets Reliance Hexham apart from the competition is our comprehensive design verification and review process. We work hard to ensure all equipment that passes through our hands is sound, be that existing third-party equipment, or products designed by us and manufactured in our workshop. Certification of safe working load (SWL). All testing is fulfilled at Reliance Hexham’s premises where our experienced and certified personnel use advanced testing and precision equipment to ensure the maximum safety and reliability of our results. Reliance Hexham works with a variety of Australian industries to ensure the utmost safety of workers and the highest longevity of EWP equipment. Our portfolio includes customers operating in transportation, construction, utilities, rentals and maintenance. A recent project with a leading Australian transportations company saw us tackle faults in the original third-party design of a whole fleet of EWPs. After only a few years in service, the customer’s EWP devices had started displaying numerous structural cracks, which led to serious and well-founded safety concerns. Our engineering expertise enabled us to isolate the origin of the issue, which was tracked down to the EWPs’ joint mechanisms. After re-engineering the joints’ design and refurbishing the units one by one, we were able to get the majority of the EWP fleet back on track and fully certified. A considerable saving in time and money for the customer, who was spared from the operational impact of setting up a complete new fleet from scratch. Our team of specialists will be able to provide dedicated advice for your specific application and EWP requirements and is always at your disposal for consultations or quotation requests.